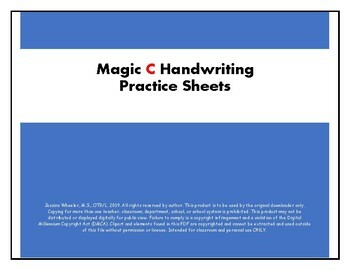 This resource packet is designed to provide practice with making magic c letters. These letters include: c,a,d,g,o,s, and q. 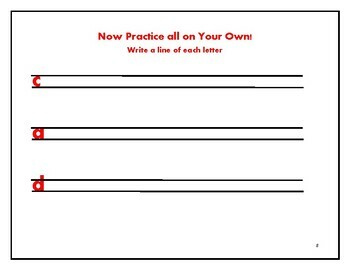 Provided for each letter is (1) tracing page (2) “finish the letter” page, and (3) an independent writing page. 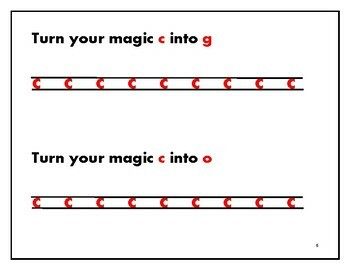 Please see my Magic C reference sheet in my TPT store for a great visual tool to help students with learning the letter strokes (see details at the end of this packet). Teaching letters in groups that have similar patterns is a successful way to help them learn and memorize the correct way to make letters. 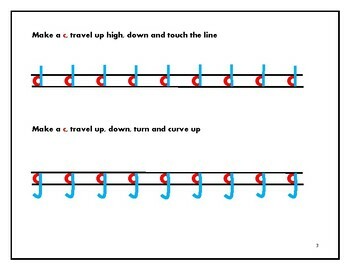 Many students benefit from learning visually, and this tool provides a strong visual to reinforce techniques they may be learning.